War Child was founded in 1993 by British filmmakers Bill Leeson and David Wilson when they returned from covering the war in former Yugoslavia. Shocked by what they had seen, they raised enough money to return later that year with a convoy and mobile bakery to help provide for the children affected by the conflict. 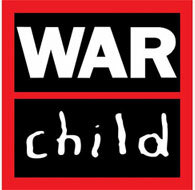 War Child work to transform the lives of tens of thousands of children and are campaigning to improve the lives of millions more. Providing medical care, sanctuary and counselling to girls who have been the victim of sexual violence. Creating safe havens where children can escape the dangers of life on the streets after war has forced them to leave home. Rebuilding schools destroyed by war and getting kids out of army uniforms and into school ones. Helping children get their voices heard and their rights met, and helping local people to protect their children better. Donate your car to War Child with Charity Car. It won't cost you a penny and we'll arrange collection of your car at a time to suit you.